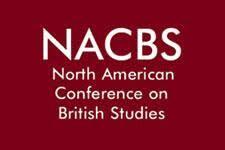 The NACBS and its affiliate, the Pacific Coast Conference on British Studies (PCCBS), seek participation by scholars in all areas of British Studies for the 2019 meeting. The conference will meet in Vancouver, Canada, from November 14-17, 2019. The conference solicits proposals for presentations on Britain, the British Empire-Commonwealth, and the British world, including Ireland, the Americas, Asia, Africa, and the Pacific (etc.). The conference’s interests range from the medieval to the modern. The conference welcomes participation by scholars from across the humanities and social sciences, from all parts of the globe (not just North America), and from all career stages and backgrounds. The NACBS reaffirms their commitment to British Studies broadly conceived, and welcome proposals that reflect the diversity of scholars and scholarship in the field. The NACBS invite panel proposals that address selected themes, methodology, and pedagogy, as well as roundtable discussions of topical and thematic interest, including conversations among authors of recent books, reflections on landmark scholarship, and discussions about professional practice. The conference is particularly interested in submissions that have a broad chronological focus and/or interdisciplinary breadth, and that are tightly connected by a theme. Standard panels typically include three presenters speaking for 20 minutes each, a commentator, and a chair, while roundtables typically include four presenters speaking for 15 minutes each and a chair. They are open to other formats, though; please feel free to consult with the program committee chair. The conference hopes to secure as broad a range of participation as possible and will thus consider individual paper proposals in addition to the standard full panel proposals. Panels that include a diverse mix of presenters across different fields and career stages are particularly welcomed. To foster intellectual interchange, applicants are asked to compose panels that feature participation from multiple institutions. In an effort to allow a broader range of participants, no participant will be permitted to take part in more than one session in a substantial role. (That is, someone presenting or commenting on one panel cannot also present or comment on another, though individuals presenting or commenting on one panel may serve as chairs for other panels, if need be.) Submissions are welcome from participants in last year’s conference, though if the number of strong submissions exceeds the number of available spaces, selection decisions may take into account recent participation. As complete panels are more likely to be accepted, it is recommended that interested participants issue calls on H-Albion or social media (e.g., @TheNACBS on Twitter or on the NACBS Facebook page) to arrange a panel. If a full panel cannot be arranged by the deadline, however, please do submit the individual proposal and the program committee will try to build submissions into full panels as appropriate. In addition to the panels, the NACBS will be sponsoring a poster session. The posters will be exhibited throughout the conference, and there will be a scheduled time when presenters will be with their posters to allow for further discussion. Please visit http://www.nacbs.org/conference for information on workshops. The submission website is now open. Please click here. Submissions will close as of 15 March, 2019. A brief summary CV for each participant, indicating education, current affiliations, and major publications. (750 words maximum per CV.